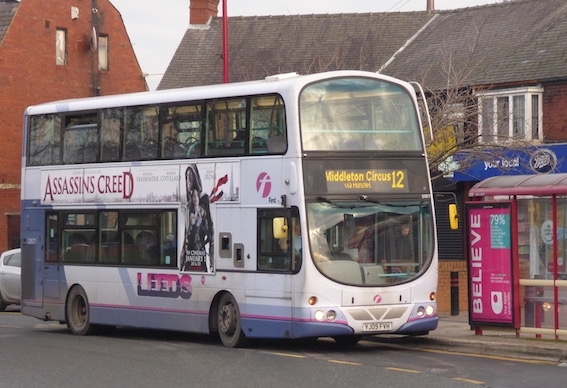 The next phase of public consultation on Connecting Leeds, measures to help transform transport and travel in and around Leeds, starts this week. A series of public drop-in sessions are to begin this Saturday on proposals for the A61 South (Hunslet Road, Low Road) bus route to introduce new infrastructure and measures to improve bus journey times and service reliability. This corridor is used by the busy 12, 13 and 13A services, the 110 service to Wakefield as well as the proposed Park & Ride scheme at Stourton. The proposals would also seek to maximise the space and efficiency of the road network, offered enhanced cycling and walking provision as well as improving air quality through reduced congestion. The plans include longer and new bus lanes, smart traffic signals and new junction layouts to help keep buses moving, especially during peak travel times. The plans are part of Connecting Leeds, the new transport strategy for the city being delivered by Leeds City Council working with the West Yorkshire Combined Authority, partners and stakeholders to improve all aspects of the transport network in Leeds and connecting to the wider Leeds City Region. Enhanced bus travel is a key element of the strategy, with the target set of doubling the current 250,000 bus trips made in the city per day within 10 years. The next round of consultation, which runs until 27 July, focuses on the A61 South from Leeds to Wakefield, via Hunslet and Stourton; as well as the A660 in Headingley. A consultation session will also take place next month on the possible expansion of the Elland Road Park & Ride service, which has been well used since its introduction now being used by more than 500 cars a day. The consultation also asks for views on improvements to bus infrastructure which would see bus stops upgraded with enhanced seating, real-time information displays and maps. Public spaces are also proposed to be improved to make for more attractive and greener areas around the stops. This second round of consultation follows on from phase one held earlier this year on proposals for the A61North, A58 and A64. More than 4,500 responses were received, which are currently being analysed and will help shape the plans as they develop. “The response to the first round of consultation was very pleasing so now we are moving on to the A660, A61 South and the Elland Road Park and Ride and it would be great to see as many people as possible attend one of the drop-in sessions or give us their views online to help us shape these plans.